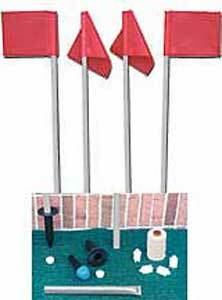 Combination Value Pack-featuring our Stand-Tall Reflex Corner Flags for the Complete Soccer field. It does it all! Includes 25 Ground Sockets with Plugs, 4 Reflex flags. Installation Accessory Kit.